As District Defender, Ruth Petsch heads the Kansas City public defender's office. Standing beside her is Deputy District Defender Joseph Megerman. Lawyers with the Public Defender’s Kansas City office showed up en masse at a court hearing Thursday to express their unhappiness over being appointed to take on new cases while laboring under crushing caseloads. Twenty-five of the office’s 35 lawyers filled up four benches in the courtroom of Jackson County Circuit Judge Patrick W. Campbell for what should have been a routine hearing to determine whether a defendant had violated the terms of his probation. But the hearing, though brief, was anything but routine. The head of the Kansas City office, Ruth Petsch, told Campbell that she objected to his assignment of the case to her office because lawyers there were risking their livelihoods by taking on additional cases. “We’re a group of attorneys who all say we can’t ethically take more cases,” Petsch told Campbell, referring to a rule governing lawyers’ conduct that requires them to represent clients ethically, effectively and competently. Violations of the rule could lead to a lawyer’s disbarment. Campbell was unsympathetic. In a tense exchange with Petsch, he said he was denying her request and told her she could take the matter up with the Missouri Court of Appeals. As the defendant stood by, Campbell rescheduled the hearing for next week. In an interview after the court hearing, Petsch noted that her office currently has more than 3,000 open cases and handles 4,000 to 5,000 cases per year. “If we take on new cases and it affects the clients, we have a conflict of interest and we could be disciplined for that,” she said. The Kansas City office is the largest of the Missouri Public Defender System’s 30-plus offices statewide. Not counting Petsch and her deputy, Joseph Megerman, because their duties are largely supervisory, the office’s 33 lawyers handle from 80 to 100 criminal cases a week, according to Petsch. “People can't keep doing this very long because it's too much,” she said. “If we had more attorneys or we had a caseload that was reasonable where people could meet their ethical duties and work up their cases in a reasonable amount of time, that would be a different matter. “Nobody’s here to get rich, but you can only take so much of trial after trial and client after client and working long, long hours,” she added. The Sixth Amendment, which guarantees the rights of criminal defendants, includes the right to a lawyer. In a landmark case 54 years ago, the U.S. Supreme Court ruled that states are required to provide counsel in criminal cases to defendants who can’t afford one. Thursday’s court hearing came against the backdrop of spreading discontent among the state’s public defenders after the Missouri Supreme Court last month suspended a Boone County public defender for neglecting some of his cases. Like the public defenders in the Kansas City office, many other public defenders statewide are refusing to take on new clients, saying the court’s ruling exposes them to similar punishment because their caseloads make it impossible for them to ensure they’re effectively representing their clients. After the presiding judge in Stoddard County ordered the public defender’s office there to take on three new cases, Leslie Hazel, the head of that office, and Michael Barrett, the director of the Missouri Public Defender System as a whole, asked the Missouri Supreme Court to strike down the judge’s order. On Tuesday, the Supreme Court refused their request. It did, however, hint that it might be sympathetic if Hazel were to follow the process laid out by the Missouri Legislature in 2013 to address the issue of excessive caseloads. That process allows public defenders to discuss caseload issues with a county's presiding judge. The judge then has the option of finding that the public defenders will be unable to provide effective representation to their clients and take alternative steps, such as appointing private counsel. Torrence, a former public defender himself, said that if Petsch were to follow the statutory process for excessive caseloads, “I would honor and enforce with all due haste” that process. Not every public defender office is refusing to accept new cases. Mary Fox, head of the St. Louis office, one of the largest in the state with more than two dozen attorneys, said she informed the presiding judge there that her office may reach the breaking point but has not gotten there yet. Like a lot of public defender offices, Fox’s has experienced high turnover. In the last year alone, she said, she has hired 11 attorneys. Three other openings remain vacant. “I think the source of the upset is that we have a clear directive that if an individual attorney has a caseload that keeps them from fulfilling their ethical responsibilities, they don't have a choice, they have to say ‘I cannot take any more cases,’” she said. “Well, that's fine. But what's happening to all those poor people who aren't getting attorneys, who have to wait for us to hire new attorneys? I think my office had over 40 percent turnover last year and at the same time we take in 70 new homicides every year. The problems of Missouri Public Defender System’s problems have been simmering for years but have only recently spilled into the public limelight. In a bid to draw attention to its plight, Barrett, the system’s director, last year assigned then-Gov. 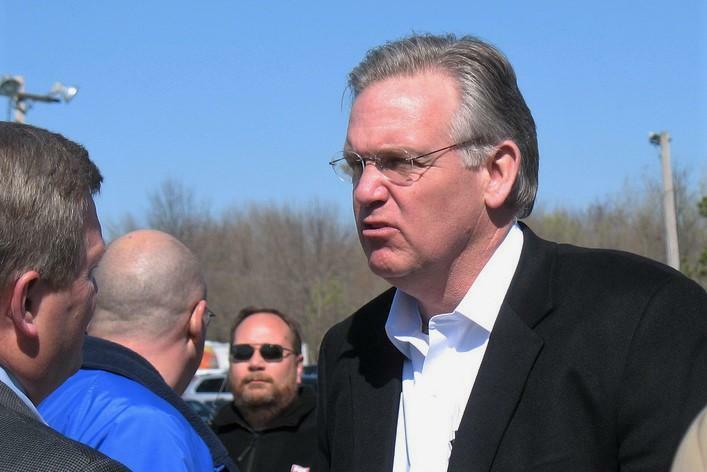 Jay Nixon, an attorney and former state attorney general, to defend an assault case in Cole County. A judge later ruled that Barrett didn’t have the authority to do that, but the point he was trying to make – that the state’s public defender system was on the verge of collapse – drew national headlines. And in the lawsuit it filed earlier this year, the ACLU alleged the system is grossly underfunded. Only Mississippi, it said, allocates less money per capita to its public defender system than Missouri. The case is scheduled to go to trial in May. Dan Margolies is KCUR’s health editor. You can reach him on Twitter @DanMargolies. This story was updated at 1:26 p.m. Thursday to include the comments of Michael Barrett, head of the Missouri public defender system. Last July, Shondel Church was arrested in Kansas City for allegedly stealing a generator and tool box from his stepmother. The chronically underfunded Missouri public defender system is now dealing with another vexing issue: the prospect that its overworked attorneys could be punished for not keeping up with their workloads. And that's leading to a growing standoff between judges and public defender attorneys. The issue surfaced after the Missouri Supreme Court last month suspended a 21-year veteran of the public defender’s office in Columbia who was laboring under a huge caseload and was hospitalized due to chronic health problems. If you're charged with a crime and can't afford a lawyer, one will be provided for you, guaranteed by the U.S. Constitution. Because in our judicial system, we're supposed to be presumed innocent. But in Missouri, critics say the state's public defender system isn't doing it's job. 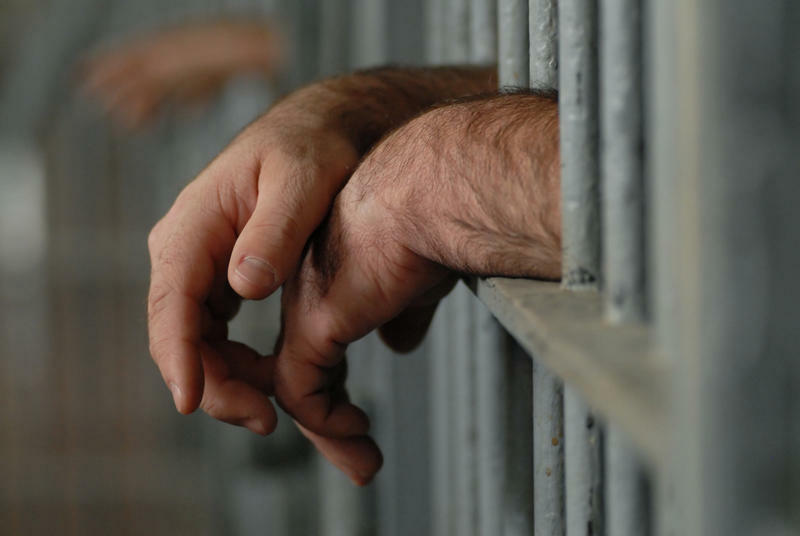 One Kansas City man believes that system's failures lead to his life sentence. So what's going on in Missouri? Any hopes Gov. Jay Nixon may have about patching things up with Missouri’s top public defender will have to be put on hold for a while longer. Budget tensions came to a head last week when Michael Barrett, director of the state’s public defender’s office, assigned the governor to defend an assault case in Cole County, Missouri. Missouri Gov. Jay Nixon won’t be defending anyone. Michael Barrett, the state’s public defender, earlier this month tried to assign the governor a case, citing an overburdened system and budget cuts from the state. Though Barrett argued he had the authority to do so under Missouri law, a Cole County judge on Thursday disagreed.